Here is an overview of our inaugural trip to Rome (27 June-2 July 2016), the inspiration for which lies in the core values and objectives that underpin Liberal Arts and Natural Sciences at Birmingham. Learning to learn in all kinds of unexpected environments, and from unfamiliar experiences, is crucial to the academic and personal development of our students and there is no better place to learn than Rome! Once the twelve students, from a mixture of year groups, had settled into their apartments and done some independent exploring, we all reconvened at Palazzo Taverna in the grand Salon, for a welcome from Professor Davide Vitali (Director of our host institution, the University of Arkansas Rome Center, and Architect). This was followed by a 20-minute romp through Rome’s early and legendary foundation and republican history, touching on the political and ethical qualities that classical Romans believed to have been baked into citizen identity by the Founding Fathers. Next, we were treated to a whistle-stop lecture by University of Arkansas faculty-member Dr. Ryan Calabretta-Sajder tackling Rome’s identity as a cinematic city, starting with Roman Holiday but ending up with some contemporary visions from Turkish-born director Ferzan Ozpetek. With that, we retired to a nearby restaurant for food, wine, and conversation about the days ahead. We met with our guide, Agnes Crawford, at the Arch of Constantine. Students were introduced to the powerful ideological and visual connotations of the arch form. The important interplay between monumental form, political ideology, and military might, took a different but complementary shape as we moved to the Flavian Amphitheatre, aka the Colosseum. This site also helped students to get a sense of the hidden layers which urban markup conceals and reveals. The popular name ‘Colosseum’ was first associated with a gigantic statue of the last Julio-Claudian Emperor, Nero. What remained of the morning was spent moving up and down the Palatine Hill, discussing how it transformed in the last years of the first century BCE from a pleasant residential zone to the bureaucratic and autocratic heart of a transformed governmental system. Students saw how one space, the traditional Forum Romanum, transformed from a focus for Rome’s civic self, increasingly became a venue for grandiose monuments and contestations of power which often escalated into street violence and gang warfare, with electoral disruption happening year after year. The afternoon took us through Rome’s medieval story, moving through the picturesque narrow streets that characterised the city as it re-found its power as a Christian capital and — with the Pilgrim trade developing — began to manifest new kinds of commercial and spiritual authority. Ship-shaped Tiber Island offered a welcome break for gelato, and some quick facts about the island’s history as a ‘hospital’ zone, such as its ancient dedication to the imported Greek god Aesculapius, a healer. Trastevere (the place ‘across the Tiber’) was where our students’ apartments were located, close to the charming Piazza San Cosimato, so en route we took in two iconic churches linking the earliest post-classical Christian era with the developing power of the papacy. We all had some free time then, before reconvening back at Palazzo Taverna for a stand-out lecture by Professor Vitali explaining and exemplifying Rome as a ‘palimpsest’. I was also especially happy to hear Professor Vitali’s assessment of our students: one of the most inquiring, alert, and thoughtful groups he has worked with. We met at the caffe at the Porta San Paolo light rail station before boarding the train for Ostia Antica. Once Rome’s port town, as the Tiber silted up, the town was abandoned and gradually fell into a mysterious quasi-burial. Not as dramatic as Pompeii but with surprisingly similar results in terms of excavated and visible ruins. We saw dramatic mosaic pavements in some of the town’s public bath-houses and in the so-called Piazza of the Corporations where trading companies had booths and offices decorated with mosaics representing their origins or business. We strolled through some luxury townhouses (marvelling at one with its own private toilet!) and played at barmaid-and-customer in a remarkably intact bar, before beginning to make our way back to the sleepy medieval town close to the site, and lunch at L’Alimentari. Heading home, we got off the train at EUR to recuperate from Ostia and to think further about what one does with ideologically compromised spaces and structures. EUR was framed as a way for the new regime to build the Rome of the future – a Third Rome. The ‘Square Colosseum’ characterises the Italians as ‘a people of poets, of artists, of heroes, of saints, of thinkers, of scientists, of navigators, of boundary-crossers’ (Mussolini, 1935). That Italian fascist vision of history as a triumphant advance from the foundation of Rome to the rule of Mussolini gains narrative expression in a massive sculptural relief by Publio Morbiducci which drew our brief visit to EUR to a close. We met up at Palazzo Taverna for our final evening lecture, which introduced the gardens and water-features of the sixteenth-century theme park that is the Villa d’Este, a UNESCO World Heritage site. We met at the Pantheon, a great spot to firm up the city’s palimpsestic quality, looming over the Renaissance Piazza della Rotonda. The Pantheon, so called because it was a temple to ‘all’ the gods, survived relatively intact because it was reused as a church – Santa Maria dei Martiri. Now, the Pantheon houses tomb-monuments to unify Italy’s first rulers – Victor Emmanuel II and Umberto I – forming an interesting echo to one of the few ‘new’ builds in the historic centre of Rome. From the Pantheon we took a walking tour, stopping at Bernini’s elephant, and viewing the luminous Filippino Lippi frescoes in the Carafa Chapel of Santa Maria Sopra Minerva. We thought more about the papal city this morning, and used visits to Sant’Ignazio, with its trip ‘fake’ dome, to discuss counter-reformation politics and the ways in which art and architecture were leveraged to create a sense of perfect union between man and God. Moving on, we saw the Piazza di Pietra, in which a temple to the posthumously deified emperor Hadrian has been incorporated into what was once the Stock Exchange. We had a gelato stop next, before working our way through the narrow twisting streets that eventually give onto the spectacular Piazza Navona. The baroque splendours of Bernini’s Fountain of Four Rivers gave us a glimpse of the territorial ambitions of the post-Renaissance world, encompassing the greatest known rivers in a water-feature. After lunch, we let the students explore, then met again at the Altar of Augustan Peace, a monument excavated on Mussolini’s orders and relocated to a piazza. It was dedicated by the Senate in 13 BCE, in honour of Augustus’ pacification of Spain and Gaul, and the Empire. The museum, a (fairly) new building designed by starchitect Richard Meier offered an airy, cool space ideally suited to contemplating this masterpiece and also has helpful displays explaining the complex family tree of the Julio-Claudian imperial dynasty. At the end of the day, we walked across the Tiber, past another classical mausoleum of the emperor Hadrian, to the great street — Via della Concilazione — created by Mussolini to mark the new rapprochement between Vatican and secular authorities. We had the privilege of entering St. Peter’s through the Holy Door — open for the 2016 Jubilee year. I find myself newly moved by Michelangelo’s Pieta every time, but seeing our students respond to art as a medium of faith and humanity, confronted by the sculpture, was hugely rewarding. We headed for the Villa Adriana and Tivoli, with Francesca Riccardo (expert on architectural design, and UARC faculty member). The lush countryside was a lovely respite from the marble and bustle of Rome. The Villa is a hot, unshaded place on a late June day, and we ended up lingering at the iconic ‘Canopus’ pool, which gave me an opportunity to talk to students about the traditional ascription of names to parts of the estate. A late imperial biography of Hadrian suggested that he named parts of the villa for sites that particularly thrilled or pleased him, based on his travels around the empire. Canopus, in Egypt, might have recalled the tragic death of his lover Antinous, who drowned in the Nile. Our minibus took us to Tivoli, where we had a brisk lunch break, meeting up in an hour to start our tour of the Villa d’Este. The Villa took shape in response to a failed political dream – Cardinal Ippolito d’Este’s unsuccessful attempt to become pope – and in its design he hoped to demonstrate, like Hadrian, that power could reside outside Rome. Ippolito’s theme for the villa and its elaborately themed gardens was steeped in classical myth. It evoked Hercules’ legendary quest for the Golden Apples of the Hesperides, the dragon he fought to seize them, and the hero’s role as a powerful civiliser. Visitors are challenged to see in Ippolito’s Tivoli a better-than-life vision of what power looks like, mediated through myth, geopolitics, cutting edge engineering, and the latest in archaeological discovery. Originally, plantings used scent and sensory nudges to create and give atmosphere to particular routes through the gardens. We were lucky to hear the Fountain of the Organ play for us just before we left, adding melody to what had already been an extraordinary day. Back in Rome, it was time for a farewell dinner at Ai Spaghettari to discuss the new insights and approaches our visits had enabled. Check-out day was a valuable day to think through what we had gained from the week. Rome is a city of great dissonances as well as enormous beauty, and in these frictions, I think much of the most powerful learning resided. For our first years, fresh from their core interdisciplinary module on ‘modernity’, the lessons of history manifest in Rome were an excellent postscript to that semester 2 programme of study. We definitely hope to do a similar trip next summer! Liberal Arts and Natural Sciences was delighted to have the opportunity to sponsor a conference on crypto-currencies as part of our goal to foster lively debate on provocative and challenging topics. With Apple Pay just launched in the UK, and contactless payments becoming ever more normalised, exploring the ripple effect from crypto-currencies becomes increasingly important and urgent. University of Birmingham Law lecturer Dr Tatiana Cutts reports back from the conference, for Liberal Arts and Natural Sciences. In the year of the bailouts, 2008, The bankers were printing more debt for the state The dollar grew weaker, the big picture clear As they fed the hangover more Keynesian beer […] Who’s to blame, is this caused by desire for wealth? When perhaps the real problem is money itself! The idea isn’t new, maybe everything’s tanking ‘Cause society is built on fractional reserve banking And so called ‘‘investment’’ and attempted control May soon spiral fiat into a death roll […]. In 2008, in a paper published in an online cryptography forum under the name “Satoshi Nakamoto”, a writer presented the blueprint for a decentralised digital monetary system. Through that system, Nakamoto attempted to eliminate the risk of double spending without reliance upon trusted third parties, such as banks and credit-card providers. Bitcoin was introduced shortly afterwards as open-source software, and gained momentum gradually, as those with personal, economic and/or political agendas began to adopt the new technology. Bitcoin’s popularity increased rapidly when in 2011 Wikileaks announced that it would accept donations in Bitcoin. That decision resulted in one of the first significant spikes in value, and at the start of 2015 the value of one bitcoin stood at a little over $300.00. The Bitcoin system adheres closely to Nakamoto’s model. “Miners” solve complex computational problems by which transactions are verified and recorded in a public ledger (the “Blockchain”), in return for bitcoins. Users hold a private and public “key”, and release only the latter to make a payment. In this way, the system is entirely pseudonymous, and can be maintained and developed without the need for a central authority. Thus far, the number of Bitcoin transactions carried out each day across the globe has never exceeded 130,000, in comparison with approximately 295 million conventional payment transactions in Europe alone. Nonetheless, the European Banking Authority, the US Treasury Financial Crimes Enforcement Network (“FinCen”), the UK Financial Conduct Authority (“FCA”) and HM Treasury, amongst others, have accepted that the risks of crypto-currency are too many and too great to ignore. Further, the pressure from the Bitcoin community to develop clear rules is growing: service-providers want the consumer confidence associated with state approval, and need the support of traditional financial organisations in order to continue to grow. In many cases Bitcoin business are already engaged in anticipatory self-regulation. On 12 June 2015 Liberal Arts and Natural Sciences supported a conference on crypto-currencies, hosted at the University of Birmingham by Tatiana Cutts and Joanna Gray of the Law School. Its purpose was to bring together practitioners, stakeholders, financial regulators, and academics to discuss the most important issues raised by these developments, in order to create a solid research platform to inform emerging regulatory and private law frameworks. The day began with an introductory talk by Jonathan Levin of Chainalysis, who introduced some of the foundational concepts and fundamental questions in Bitcoin and distributed ledger technology. Next up was Dirk Haubrich of the European Banking Authority, who spoke about the Warning and Opinion issued by the EBA regarding consumer protection issues and pseudonymous payment mechanisms. To round of the first session, Robleh Ali, speaking on behalf of the Bank of England, spoke briefly about the Bank’s stance on crypto-currencies, and its nascent project to link decentralised and centralized payment systems to create a more efficient central banking network. The second session was comparative, and contrasted the UK approach to crypto-currencies with the American, Canadian and Australian frameworks. This created a foundation for a more in-depth look at the workings of distributed payments networks, with industry insights from Tom Robinson and Gareth Jenkins, and an analysis of the private law framework by Tatiana Cutts. The last session tested the boundaries of the subject, drawing in governance issues, regulation, privacy and security and emerging movements towards inclusivity in banking, addressing some of the more controversial aspects of cryptographic technology. It was clear from conversations on the day that technologies and research projects such as this are only the start of the fintech revolution, and that the way that we understand moral and economic debt, the way in which we calibrate value and think about ethereality in the context of money, status and property and – most important of all – the way we conceive of power and governance structures of our society are all changing at an unprecedented rate. This is an exciting time for those engaged in research in the Liberal Arts and Natural Sciences, and the conference will form the foundation for an ongoing collaborative project between Tatiana Cutts (Law) and Dr Matt Hayler (English), looking at “Money in the Age of Ubiquitous Computing”. For more information email t.cutts@bham.ac.uk or tweet @TatianaCutts Liberal Arts and Natural Sciences made live-streaming possible on the day, enabling the event to have a truly global reach, with over 1,000 people tuned-in. The videos can be viewed here. One of the perks of my role as Dean is that I was in a position to develop and participate in our new annual trip for second year Liberal Arts and Sciences students, taking the group to the heart of Europe: Brussels. This built on their first and second year core modules, studying the nature of modernity and crises facing humanity, and helped us all as a group to think hard about recent and forthcoming flash-points relating to European and UK politics. When you hear “Brussels”, what does it represent? Does this change over the course of the trip? What in Brussels’ historic relationship to European power-dynamics might have led to its primacy in the EU? This might touch on politics but also, think about Brussels and the development of the Modern in art and architecture. What characterises contemporary Brussels? How does it differ from, or seem similar to, other capitals? To what extent has the city been swallowed by its EU role? What can “European” signify, and how well does Brussels as a lived city and living community fit in with those implications? How much is homogeneity OR multiculturalism a defining feature of perceptions of the EU? What is your understanding of decision/policy making processes in the EU? How might you propose to enhance them? What would be a better organisational executive structure? A challenging set of discussion points, but they did keep reverberating right through our three-day visit. The early start was bracing (a coach from Birmingham at 7am), but by the time we were all gathered at International Departures in London’s St. Pancras Station, there was a fantastic buzz. The energy was increased by our guest academic Dr Jagbir Jhutti-Johal, an expert in policy, faith, and communities. Brussels has a compact centre, and our hotel was a pleasant walk from the Gare du Midi. 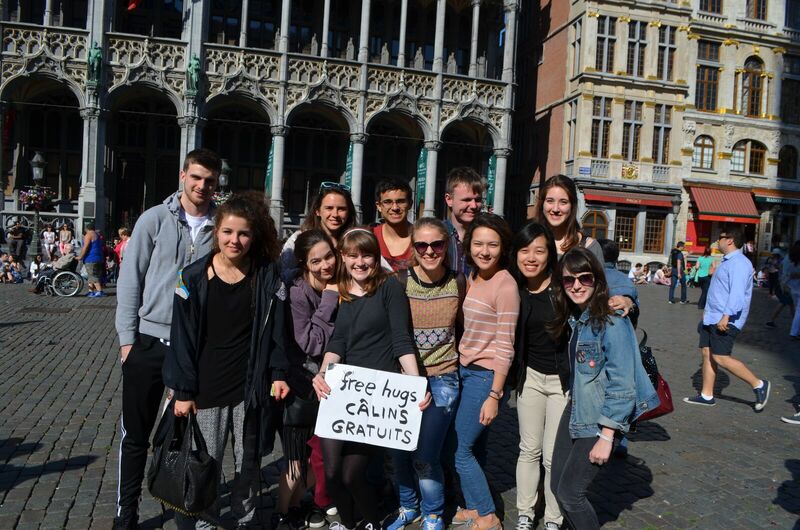 The first evening was exploratory, and once we had settled in, the students somehow found a new lease of life and decided to explore (as students later put it: ‘It was really interesting to see other parts of Brussels outside the standard tourist hot spots’, and ‘Having already been struck by the apparent beauty and diversity of the city, we had the chance to delve deeper’). We started early the next morning, with a coach-tour introducing the role of socialism and political change in the development of the Art Nouveau movement (students commented: ‘I really enjoyed the Art Nouveau Bus tour…thanks to the enthusiastic and knowledgeable tour guide, the tour was both engaging and informative’, and ‘learning that the fundamentals behind designing buildings can be synonymous with the core principles in a culture to reflect the important values of learning, community and appreciation of beauty, was inspiring’). 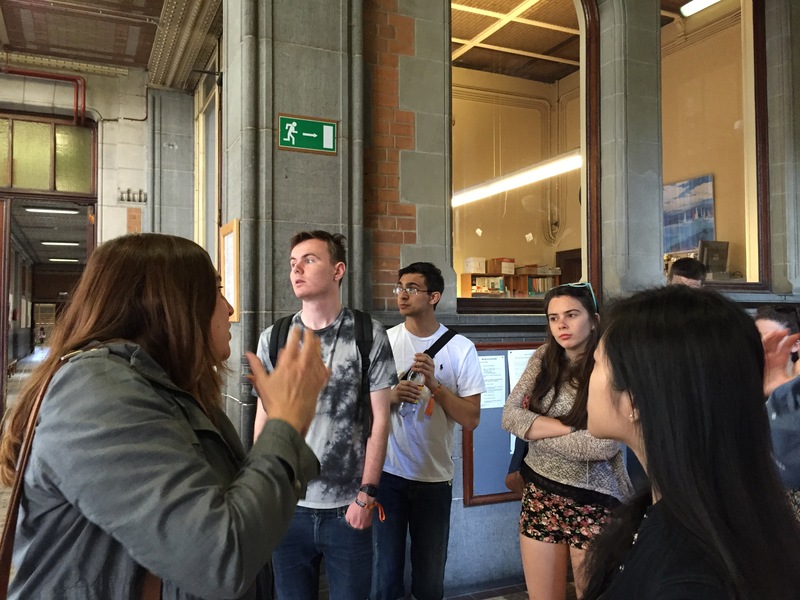 Visits to key buildings included Schaerbeek School No.1, where our guide spoke compellingly about the interplay between social modelling and educational values underpinning some of the most interesting architectural projects. 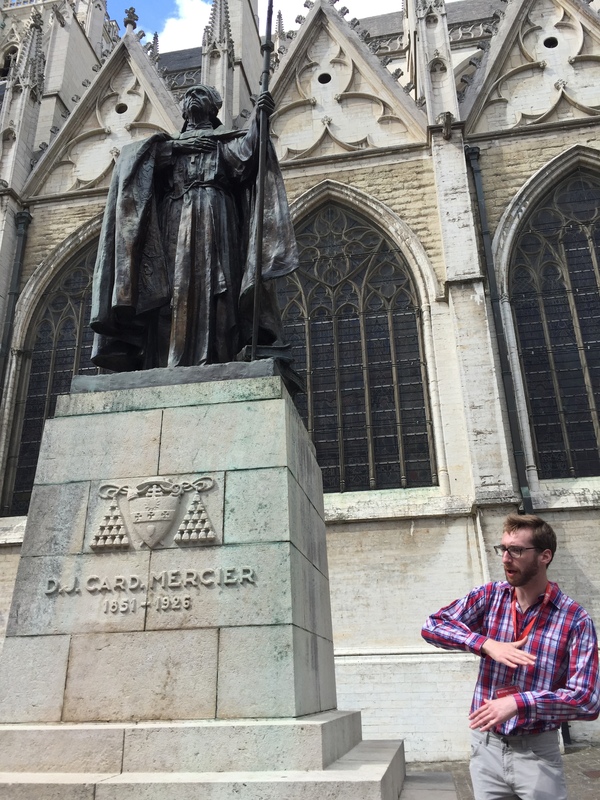 Taking a breather, at the Cathedral. We time-travelled from the medieval core of the early city, right through to the urban planning revolution of nineteenth- and early twentieth-century urban quarters, taking in history, art, and politics en route. 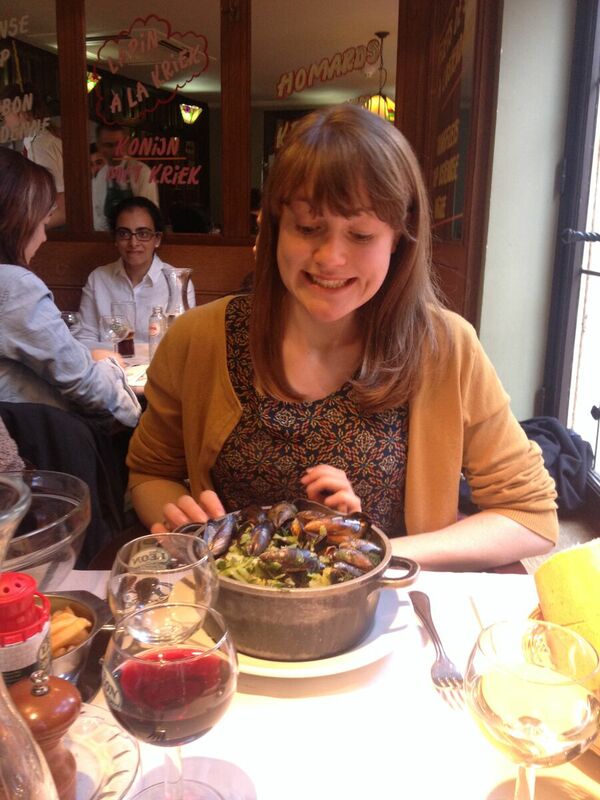 Jagbir and I hosted a dinner for the students that evening, in a charming Brussels restaurant where moules (mussels) were just one menu highlight. It was wonderful, after an action-packed year, to spend some time just talking to the students and reflecting on our collective achievements. Plus, the chocolate pudding was outstanding (and I did take the opportunity to do some chocolate-shopping; well, it would have been a waste not to!). 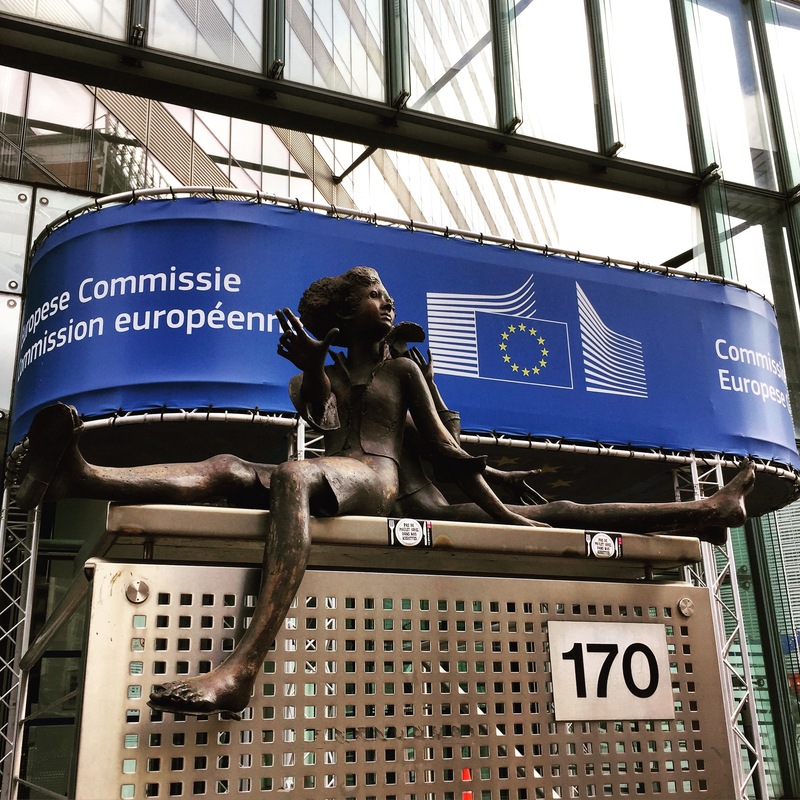 Tuesday morning saw us negotiate the Brussels metro in order to get to our first EU appointment, a presentation and Q&A at the Commission. Shepherding the group through the unexpected intricacies of the metro was more bracing than I had imagined, but we made it on time and with good humour intact. Our guide, Simon Pascoe, was from the civil service team working day-to-day with the College of Commissioners to transform their work into directives ready for the EU Parliament and Council. It was fascinating to gain insight into the processes, the stress points, the trade-offs, the enthusiasm, and the difficulties that make up the Commission’s work. Simon stressed just how crucial the continuous feed-through of new minds and new ideas is, and encouraged the students to consider applying for Commission internships. Ready to move and shake in Europe! At the Commission. We left with many new questions (always a good sign). The EU Parliament runs a challenging, frustrating (in a productive way), illuminating role-playing exercise, at the Parlamentarium. We arrived for 2pm, and after 2.5 hours of mock politicking our new political factions had managed to agree the progress of one directive. I managed only to shout once, and one student was so compelling in speaking for his party’s position that two students voted across party lines (hence the shouting). Jagbir’s take on this is lovely: ‘when having to negotiate on the legislation passions ran high, and we all learnt that this involved a lot of horse-trading; everyone entered into this negotiation with dynamism and enthusiasm, and in some instances when students were defending their positions you could see young MEPs in the making’. Jagbir summed the role-play up eloquently: ‘Students received two directives from the Commission to move through the process and liaise with the Council. All were then divided into four different parties, with defined manifestos. Using their manifestos they had to negotiate their position with the other parties, in order to reach an agreement. Through this process they learnt the complicated nature of legislation, lobbying and political positions. For example through the various lobbying videos they learnt the importance of listening to the viewpoints of the people for and against legislations and learn and understand peoples’ concerns. What was clear to the academics was that they were utilizing a number of skills needed to make learned information useful in the real world: self-awareness, problem solving, communication, initiative and teamwork’. We all agreed that we wanted to visit the EU history exhibition, which told the story of European union through an intriguing and unexpected medium — photos from significant moments in European history which taken collectively encouraged viewers to reflect on how and why union was the right solution. The ideological takeaway was for the most part delivered with subtlety and panache, and although over the course of the day there were striking moments of media geared to just one (positive) EU message, visitors were continually challenged to think hard about the pros and cons. Our last night’s dinner was a little more subdued — everyone was tired. But the students took the chance to explore Brussels’ nightlife when Jagbir and I headed back to the hotel. Counting them all back onto the Eurostar on Day 3 made me feel very proud of the intellectual effort they had put in, the energy they had expended, and the real sense of drawing intellectual and academic strands together at the close of a busy year. As one student summed up: ‘Everywhere we looked something interesting was waiting, it really made me think how we don’t pay enough attention to things in daily life and I really want to be more aware of simple things’. 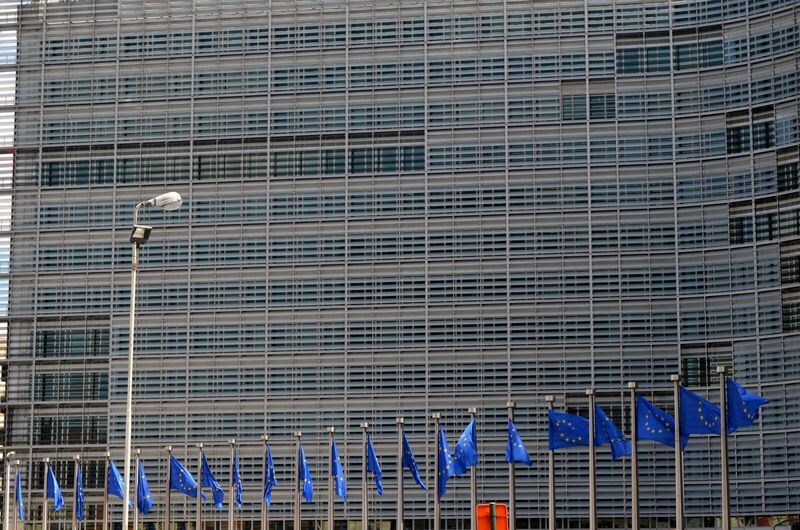 When I asked Jagbir to reflect on the trip, her comments were illuminating: ‘I was particularly impressed with how the students engaged with our visit to the EU parliament and the role play activity. 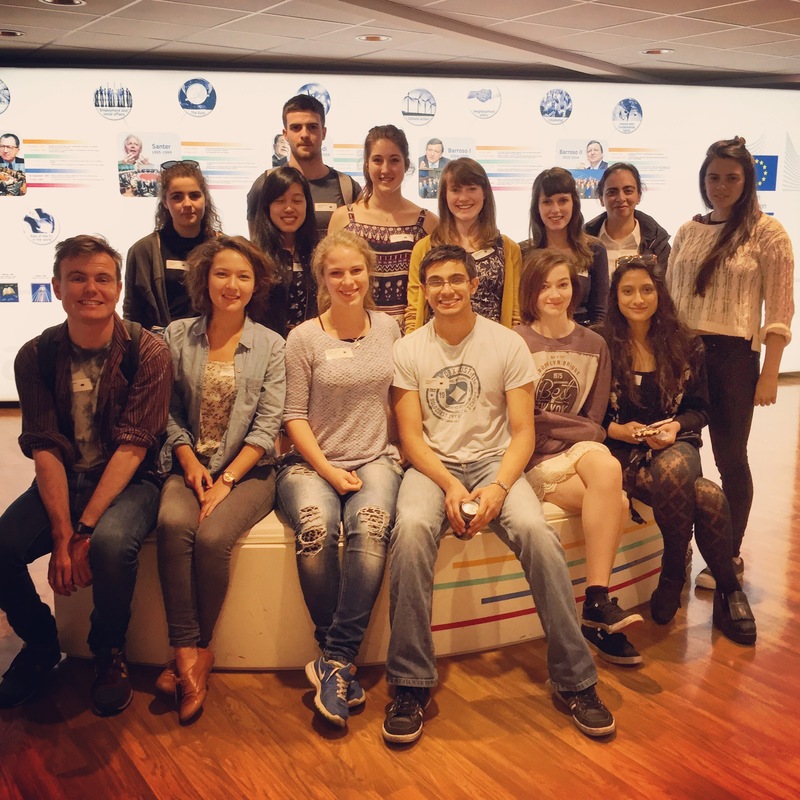 That activity showcased and made real the role of MEPs in the European Parliament, and until this point most of our students had only read or heard about what MEPs do. 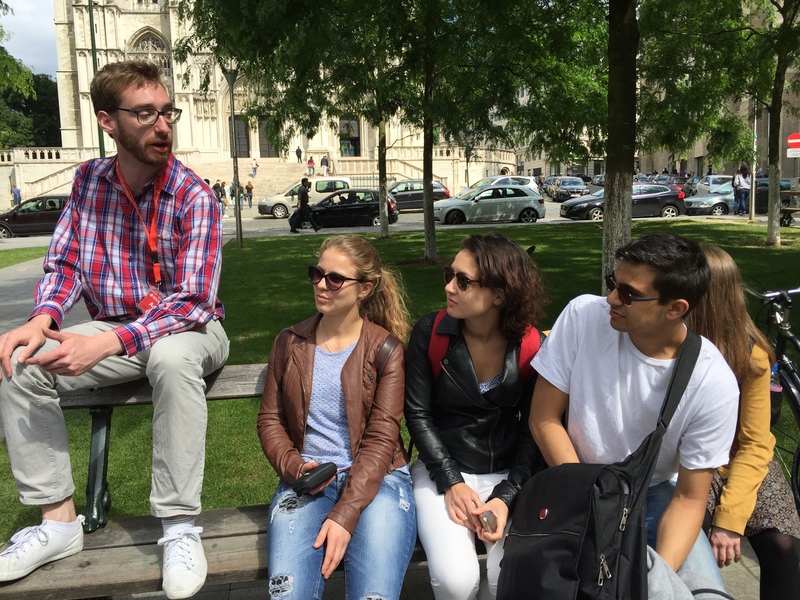 This activity allowed them to experience first-hand how intense and complex this position is and the immense responsibility attached to it…this visit highlighted for the students, but also the academics, the intersection between politics at the EU level and our daily life in our respective countries’. Jagbir’s expertise, the students’ enthusiasm, and my interest in getting everyone thinking about how transdisciplinarity can deliver really original insights, mean that we are now planning some provocative events addressing the UK in Europe, the EU referendum, and other big world events for 2016 and 2017. I expect we’ll blog about that over the coming months! Last week I was lucky enough to attend a provocative and thoughtful discussion of the relationship between classical Greek tragedy and the development fascism in Italy, Germany, and Greece. The speaker was my wonderful colleague Eleftheria Ioannidou, and the occasion, our fortnightly Classics, Ancient History and Archaeology research seminar (all are welcome!). The full title of the paper (‘Classicising modernity: Performances of Greek tragedy and the cultural poetics of fascism’) helped to unpack some core issues economically, in particular, how fascism and the idea of ‘the modern’ were rooted in complex understanding of ‘Greek’ (or ‘Classical’) and ‘tragedy’.